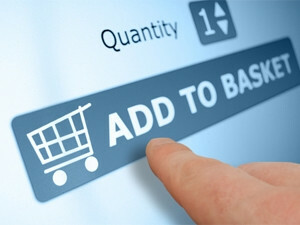 The growth in online shopping is a result of the increased number of experienced Internet users in SA. This year, online retail is expected to pass the 1% mark of total retail, according to the Online Retail in South Africa 2016 report released this week by World Wide Worx. The report shows online retail continues to grow at a high rate in SA, having maintained a growth rate of above 20% since 2000. In 2015, the rate of growth was 26%, taking online retail to the R7.5 billion mark. While the rate is expected to fall a little in 2016, to 20%, that will still take the total to above R9 billion. "While 1% represents a very small proportion of overall retail, it is also a psychological barrier for investment in e-commerce initiatives by physical retailers," says Arthur Goldstuck, MD of World Wide Worx. Goldstuck points out that online retail in SA is often characterised as being undeveloped, behind the curve and lagging behind Western markets. "However, this often also results in an underestimation of the healthy growth rate of online retail in this country." The growth in online shopping is a result of an increase in the number of experienced Internet users in SA, explains Goldstuck. These consumers are ready to transact online, "rather than the retailers themselves getting it right and convincing shoppers to spend more online". World Wide Worx forecasts that over the next five years, online retail sales will almost double. The report includes data from the Target Group Index (TGI) survey conducted by market research organisation, Ask Afrika, in collaboration with World Wide Worx. TGI comprises 15 000 interviews across a range of consumer topics and behaviours. "South African e-commerce is relatively conventional, and has not seen the level of innovation brought to bear on most product categories in major Western markets. Along with limited activity in other areas, this indicates there is tremendous potential in this market for new business models and even underexposed product categories," notes Goldstuck.